Most Australians have sat outside on a summers evening only to return inside to find their legs and arms dotted with fresh itchy mozzie bites. It is not widely known that only female mosquitoes bite warm blooded animals or humans. The reason for this is that females use protein and iron from the blood to help make their eggs, whereas males don’t need it. Of the many species of mosquitoes in our environment, the majority do not specifically target humans. However, the mosquitoes that do feed on humans are often vectors for serious diseases like malaria, dengue fever, zika, yellow fever and West Nile virus. In Australia dengue is of most concern. Due to the impact of these viruses, especially in the developing world, a considerable amount of research goes into studying the mosquito vector and how to prevent disease transmission. To study mosquitoes for these purposes, large colonies of mosquitoes are reared in specialised laboratories. To generate ongoing generations of mosquitoes, researchers must be able to provide female mosquitoes with a blood source. In Australia human blood for research purposes can be sourced from the Red Cross Blood Service. In other parts of the world access to human blood is near impossible. This can be due to lack of availability, affordability, or the prevalence of blood borne viruses, which if fed to laboratory mosquitoes, would put researchers at risk of infection. For these reasons, mosquito colonies are often maintained with animal blood. Blood sources might include chicken, pig, horse, goat, sheep, mouse and rat. This may seem like a good range of choices, especially when the animals are often sourced from abattoirs. Here at PEARG, we study the Aedes aegypti mosquito (a vector for dengue and zika virus) infected with the Wolbachia bacterium. When Ae. aegypti are infected with this bacterium, the ability of the mosquito to transmit viruses such as dengue and zika is greatly reduced. Not only can Wolbachia rapidly invade mosquito populations, but it also persists at a high frequency over time. This makes Wolbachia an excellent option for disease control. The Ae. aegypti mosquito is highly evolved to use human blood as its primary blood source. Herein lies a potential problem with current mosquito colony rearing: when Ae. aegypti feed on a non-human blood source, the quality of eggs (and therefore offspring) is greatly reduced1. This may lead to the creation of colonies intended for release carrying sub-optimal Wolbachia infection levels. Wolbachia density may then not be high enough to be effectively passed from mother to offspring or protect against viruses such as dengue or zika. There are also risks involved with using non-human blood sources and artificial blood delivery systems because the mosquitoes become adapted to unnatural conditions. The mosquitoes raised on non-human blood over several generations may become SO adapted to this alternative blood source that they are no longer inclined to take human blood upon release into the wild. This adaptation would likely make Wolbachia-infected mosquitoes comparatively ‘less-fit’ than local mosquitoes. Consequently, the Wolbachia infection will be hindered from spreading through the population and offering disease protection. Meanwhile, we need to work out the likelihood of this taking place, and what we might be able to do about it, such as replenishing stock with fresh material from the field. 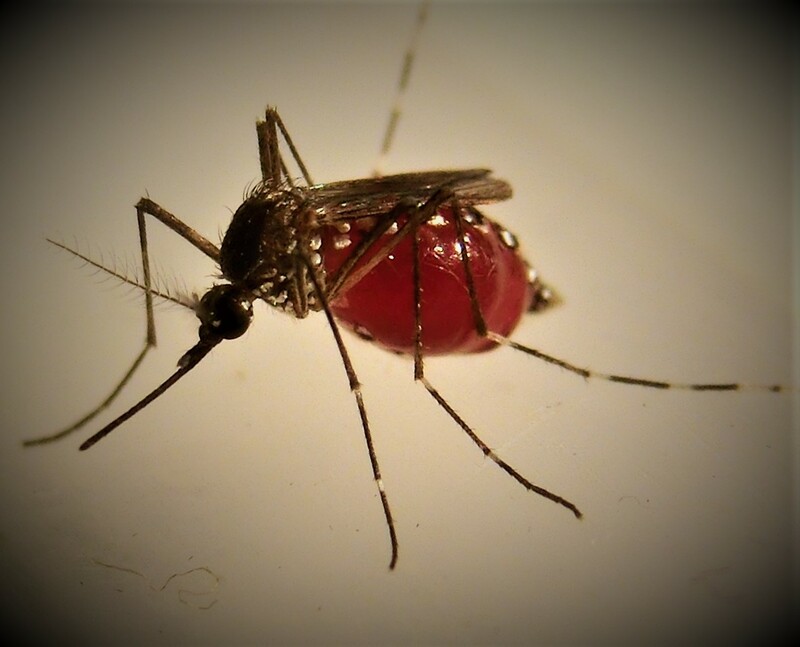 It is curious that the quality and success of our research regarding mosquitoes responsible for some of most severe diseases affecting human health can be influenced by something as small as the type of blood we choose to feed them. Previous Previous post: Fresh publications!